Open a telebetting account and place 5 bets of £10 or more. 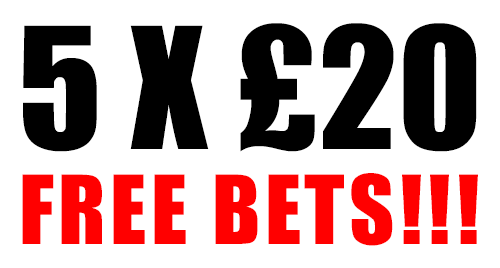 We will credit your account with 5 X £20 FREE horse racing bets! Customers must be residents of Northern Ireland. One new account promo per household. Customers may be required to provide ID and proof of address. Customers must register a credit/debit card and use this to fund their new account. Any winnings must go back on to this card. Qualifying bets are win singles om horse racing placed at odds of Evens or greater.